Keystone Heights July Fourth celebration is an annual celebration that began in 1969 with Mayor Ray Starnes. As the years passed, the Independence day celebration grew but the core patriotic theme remained till this day. Celebrate Keystone Heights Fourth of July Parade and Events. Find schedule below. Live Music, Dancing, Beer, Food, Children’s Activities & Bounce houses. $10 ticket for bounce house. Location: 7374 Sunrise Blvd., Keystone Heights, Fl. Armbands for Fireworks display is $1. Armbands can be purchased at various stores in area. During event will be sold at city hall between the times of 8am-2pm, and 5pm-Fireworks. First 4,000 attendees will enter – max capacity at beach. 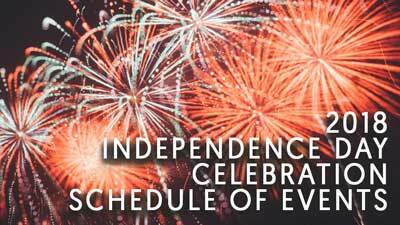 Learn more about July 4 event here.